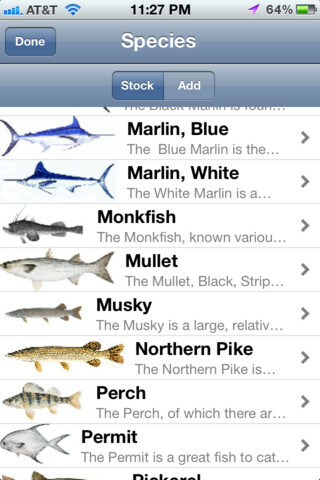 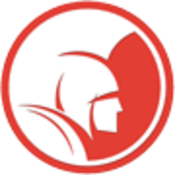 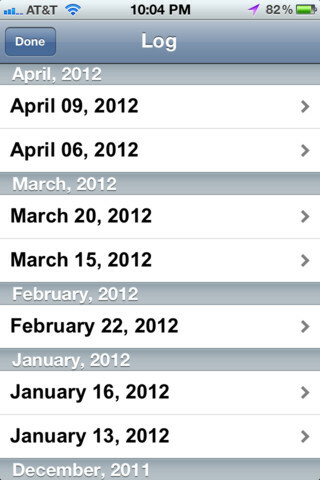 This is a professional-grade fishing app with a wealth of resources built into it’s framework. 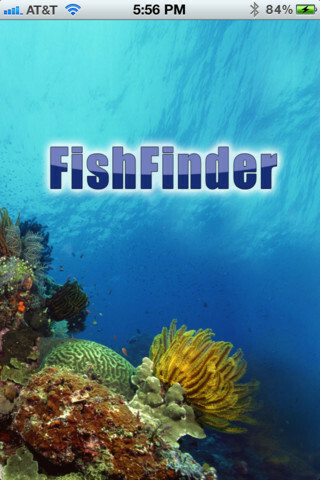 With FishFinder, you can mark and track everywhere you catch fish. 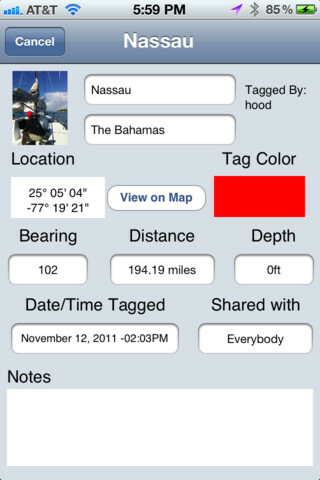 With this app, you can: tag fish & fishing spots and share, use the onboard GPS to navigate to spots, use the time dwell feature to follow the movements of fish over a specific time frame. 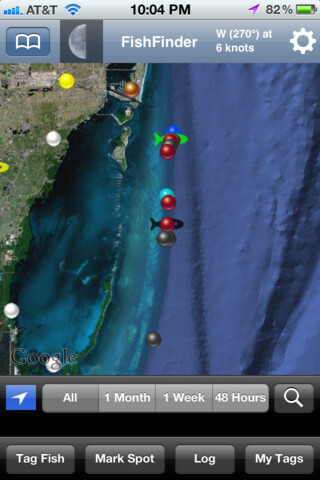 Current moon phase Wind speed / direction and barometric pressure from the nearest weather buoy .